3 runners on Wednesday for the team. We will be represented at both Newbury and Ludlow on Wednesday with 3 runners. The day starts in the first race at Newbury where we will be doubly represented in the opening juvenile hurdle at 12:30. Titan will be looking to build on his debut over hurdles where he jumped very professionally before getting tired, we have since given him a wind operation and that will hopefully help him finish off his race better. Lord County showed some ability in 3 starts in France and we will learn plenty about him tomorrow and his future will probably lie over further. 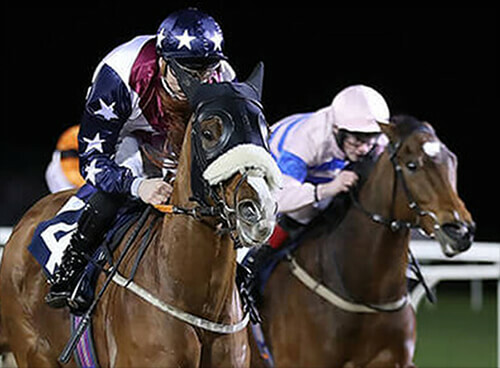 Our intentions then move to Ludlow where Lincoln County will be making his stable debut in the lady riders handicap hurdle at 3:05, he showed form for John Ferguson earlier in his career before showing ability abroad and is another we hope to learn plenty about him.